Business networking itself is all about getting you to make connections, grow your business and encourage referrals. Talk Networking is business networking but was created after taking note of what people liked and disliked about lots of different styles of networking. 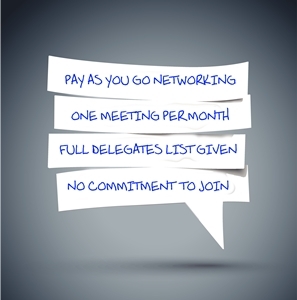 We don’t believe there is a right or wrong networking group as everyone has their own requirements. Some people like to have a short sharp meeting. Some like events that last all day. Sometimes people like controlled structure and others like to make up their own minds. People prefer either morning, lunchtime or evening events as we all have different life and work schedules. However one thing we all like is a good variation of businesses, a good atmosphere and to gain business referrals. Talk Networking was created back in 2010 when there were limited affordable, flexible groups available. Felicity Kemp set up the group having been running her Telemarketing company, Talk Results, since 2009 but couldn’t find an event that suited her needs. When networking, she soon realised she was not the only person who felt a little deflated that there was something lacking in the market to match their business. Felicity created the group Talk Networking to offer everyone – from the most frequent networker to the networking virgin – an opportunity to choose their attendance with no catches, requirements or schemes. Her vision was for people to network as and when they wanted to. On researching most meetings were plonked first thing in the morning or last thing in the day and people said they either couldn’t make the meetings or had to struggle to adjust their personal or business life accordingly. Membership requirements also were found to be a huge turn off to people, with big upfront fees or the worry of missing out on meetings and losing their place and deposits. Also, some companies were frustrated that they weren’t able to join due to business lock outs and they felt they were missing out on opportunities to grow their connections. Something needed to be done so Talk Networking was born to create the changes people wanted for their networking. The group attracts people who are frequent attendees and even those that love it so much they become members, but the best part of Talk Networking is that is provides the opportunity to those that like to vary their networking or those with limited time for networking to come along at different points of the year. It also encourages new businesses or just people new to networking to emerge and mingle with other local businesses. The magic of the group is that every month there are usually two thirds of new faces in the room split with completely new attendees to Talk Networking or ad hoc attendees who keep coming back at different months of the year. You also get new attendees coming along each month as Felicity’s telemarketing company, Talk Results, continues to contact local businesses across the counties to keep the room fresh-faced. In addition, if there is a certain sector you are targeting, Talk Results will aim to contact them for you to encourage they attend Talk Networking. There are no lock outs, the meeting takes place during the lunch hour so all your morning tasks have been completed, the meeting only takes 90 minutes and you can pay as you attend! We even send you a full delegates list with the attendees contact details and give you access to the Talk Networking LinkedIn Group so you can continue networking!